In order to move vehicles from one place to another in order to buy and sell them, or to move vehicles about to repair them, this is the minimum level of insurance that you will need to meet your legal requirement. Most people who take out road risks only insurance operate their business on a part-time basis, although full-time traders can also be covered. What Does Road Risk Only Insurance Cover? Third party only: covers damage to other people and their property in the event of an accident, e.g. if you reversed into another car in a car park, the damage to the other car would be covered, but not damage to the car you are driving. This is the minimal level of cover you would require. Third party, fire and theft: offers the same cover as third party insurance, with the additional benefit of covering the vehicle in your possession in the event of fire damage or theft. Comprehensive: this offers all of the above benefits, but most importantly for a motor trader, it also covers the vehicle in your possession in the event of any damage sustained in an accident that is your fault, and you can also claim in the event of a personal injury. You may wish to consider taking out this highest level of cover to make sure that the vehicles you are buying, selling and/or repairing are covered, protecting your assets. Bear in mind, though, that you are only covered for the trade value of the vehicle insured. Who Should Buy Road Risks Only Insurance Cover? Road risks insurance is designed for part-time or full-time motor traders who buy, sell or repair vehicles. All motor traders will need road risks cover to conduct their business, otherwise you will not be insured to drive vehicles in connection with your work. This type of insurance is best suited to motor traders who work from home, which is not normally classified as business premises. This type of cover is not suitable for those who require cover for multiple vehicles for personal use. You will need proof that you work in the motor trade industry – receipts for parts if you work in repairs, or for vehicle purchases and sales if you trade vehicles, are important in demonstrating this – in order to get road risks insurance. It is important to bear in mind that if you operate out of business premises rather than trading at home, or if you employ other staff to work with you, you may wish to take out the greater level of insurance cover that traders combined insurance can offer you. You can tailor traders combined insurance cover to suit your needs, including cover for your premises, employees or members of the public who visit your business. How Much Does Road Risk Insurance Cost? If you are looking for a cheap road risks insurance policy, cover starts from as a minimum from £6.66 a week for a third-party only insurance quote. However, bear in mind that the costs will vary greatly dependent on your driving experience, the area you trade from, your claims history etc, in much the same way as personal car insurance costs will vary. Comprehensive insurance could cost more, but could also be the best option for your business. Unlike many brokers, ChoiceQuote has access to a range of different motor trade insurance companies – not just dealing with one insurer – which helps us to deliver the best insurance quote possible for you to not only get cheaper insurance, but also get the level of insurance cover that you need. How Can I Get A Quote For Road Risks Motor Trade Insurance? 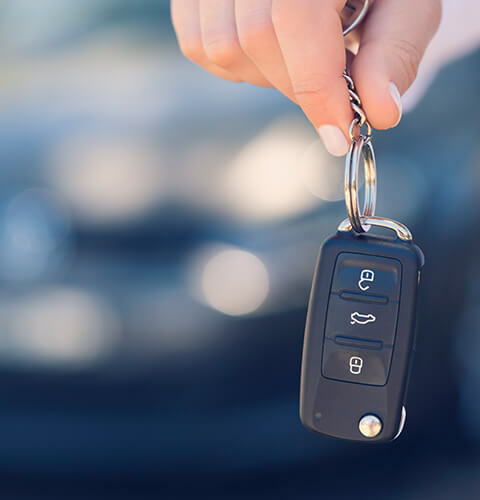 For a quick and efficient insurance quote from the motor trade insurance specialists, call ChoiceQuote today on 01625 885046 or fill in the call back request form at the top of this page. We will be on hand to make sure that you get the right insurance for your business.